...to your library guide for ENGL1180: Travel Writing! Here you'll find a variety of library resources to help you in your research-- from both old and recent news articles to academic literature to historic travel writing. For more detailed advice on beginning your research, evaluating sources, and more, check out our Research Help DIY Guide. Platt D. Babbitt. 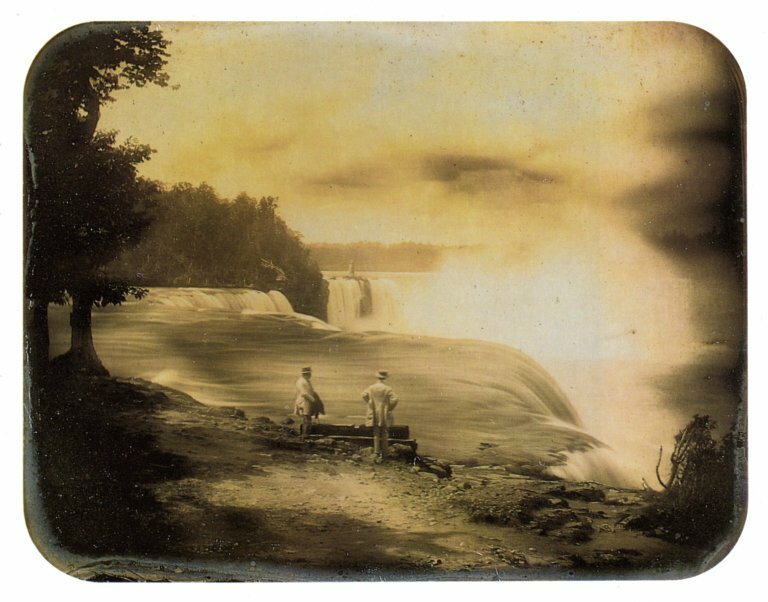 Tourists Visiting Niagara Falls. Daguerreotype, ca.1855. Stefan Richter Collection. Luna Insight.